There’s an interesting story on the BBC website about new research on nerve cell regeneration after spinal cord damage in mice, work undertaken by a team led by Dr. Zhigang He of the F.M. Kirby Neurobiology Center at Children’s Hospital Boston. Nerve regeneration in mice requires mTOR. Image courtesy of Understanding Animal Research. Those of you who follow developments on the field of spinal cord repair may find this story familiar. The study published online in Nature Neuroscience this week (1) follows up on work by the same team published two years ago (2) which examined whether regeneration of the optic nerve of mice could be promoted by using an adenovirus-based vector to locally delete several genes known to suppress cell growth. They found that knocking out gene named PTEN in the optic nerve encouraged regeneration of nerve cells following damage. PTEN inhibits the activity of the enzyme mTOR which is an important promoter of cell growth and survival, so removing PTEN increases mTOR activity and promotes regrowth of damaged nerve tissue. In agreement with this that found that mTOR levels are high in nerve cells of the central nervous system (CNS) in mice seven days after birth, when nerve cells are still naturally capable of regeneration and repair, but far lower two months later when such nerve regeneration is no longer observed. mTOR is a key regulator of cell growth throughout the body, and it’s activity is highly conserved throughout the evolutionary tree. The latest study demonstrates that nerve regeneration through activation of the mTOR pathway does not only happen at the optic nerve but can also be induced in other parts of the CNS, with obvious implications for repairing spinal cord damage. As the BBC report points out this is still quite preliminary work; the study demonstrated that the regenerated nervous tissue had all the features of normal nervous tissue, including the ability to form synapses that are needed to transmit signals from one nerve cell to another, but they have yet to show that it improves the function of the damaged nerve tissue. Other factors will need to be used alongside PTEN inhibition to encourage the regenerating cells to form a bridge across the damaged section of the spinal cord. The authors point out several promising approaches to achieving this are currently under development, for example growth factors that guide the growth of regenerating nerve cells to the correct location. The PTEN knock-out approach used in these two studies, while useful in laboratory studies, is not suitable for the clinic because its effects are permanent. It should, however, be possible to develop a drug, perhaps using RNAi or Morphilinos, to temporarily turn off PTEN activity at the site of injury and promote nerve regeneration. Whatever approach is used it will be important to be able to target the increase in mTOR activity to the site of injury. mTOR is involved in the regulation of cell growth throughout the body and indiscriminate activation of it might have adverse consequences, after all several drugs are under development that turn off mTOR activity in cancer cells. All in all it is an interesting piece of work, even if it only goes part of the way towards developing a therapy that can repair damaged spinal cords and prevent paralysis. This is an exciting time for research on treating paralysis, with a variety of techniques under development. These range from transplantation of stem cells such as Olfactory ensheathing cells or embryonic stem cells, to the development of robotic limbs controlled through brain-machine interfaces. Such a variety of approaches is entirely justified by the complexity of the problem that needs to be solved, not every technology will be appropriate for every patient, and furthermore it is likely that the regeneration-promoting technique described in this week’s report may help to increase the effectiveness of stem cell transplants. It’s just another example of how important animal research is to progress in one of today’s most exciting areas of medicine. Previous Previous post: Leicester – The New British Battleground? 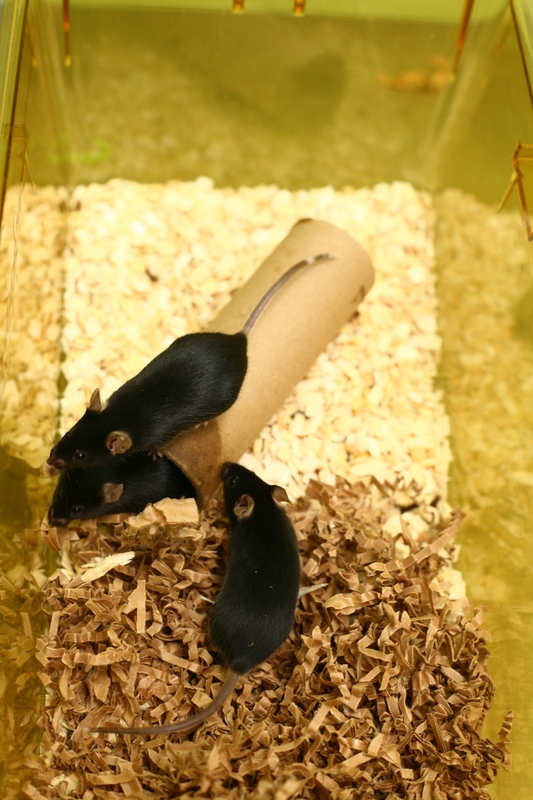 Next Next post: Mice, rats, and the secrets of the genome.